Smoothie bowl is absolutely my staple breakfast. I love to play around with different kind of ingredients depend on what fruits available on my fridge. My favorite smoothie bowl would always be banana and mixed berries, cause its super refreshing and sweet. It also really quick and easy to make, simple put the frozen bananas and berries on the blender, then topped with your favorite fruits and super foods. Different from my usual smoothie bowl, this time I add Herbilogy green tea powder to boost the antioxidant content. Also topped with the super food chia seeds, to get the healthy fats, fiber, vitamin and minerals. So I called this ANTIOXIDANT SUPER SMOOTHIE BOWL. 1. Blend the frozen bananas, mixed berries and Herbilogy green tea powder until smooth, creamy consistency. 2. 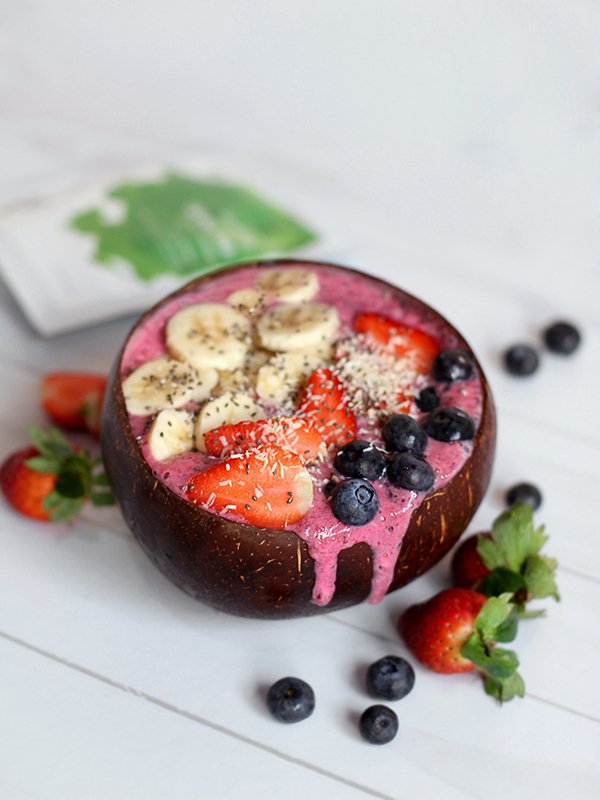 Pour in the bowl and topped with fresh banana, strawberry and blueberry, also chia seeds and coconut flakes. PS: Use soy milk to help the smoothie blended well. Hope you guys can try this Antioxidant Super Smoothies Bowl. 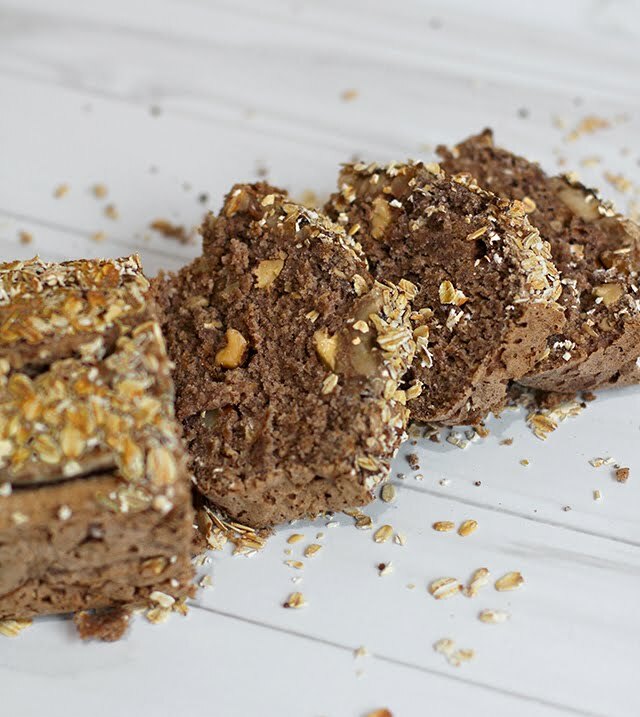 Let me know if you like the recipes, or would love to see more healthy recipes on my blog! As I'm a sweet tooth person, I love to have sweet breakfast, snack and dessert. If I don't watch my foods, I'll simply get fat! That's why I love to make my own food, especially sweet treats. Lately I've been obsessed with banana bread. I made it vegan, gluten free, dairy free, trans fat free and refined sugar free, so I can enjoy it anytime I wanted without worrying about the calories and fats. 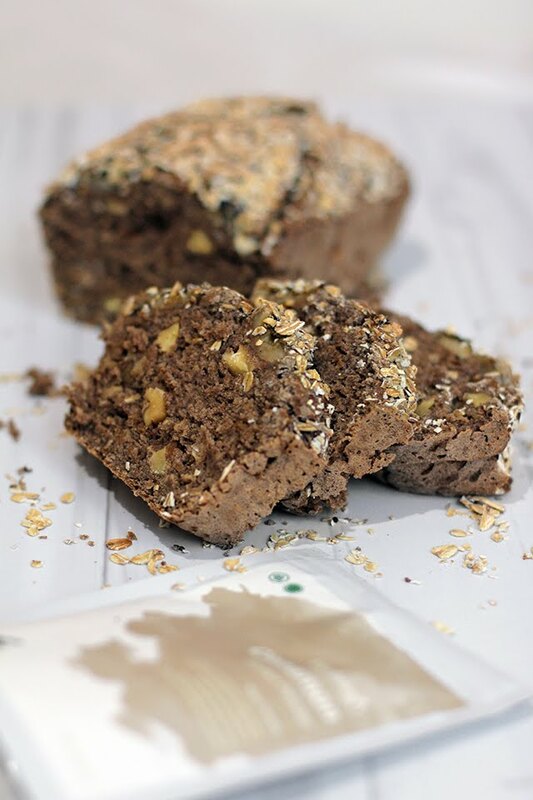 I've been trying out different recipes for my banana bread, and this time I add the walnuts and Herbilogy cinnamon powder, to get a healthy fats, fiber, boost the metabolism and just simply maintain the overall health. 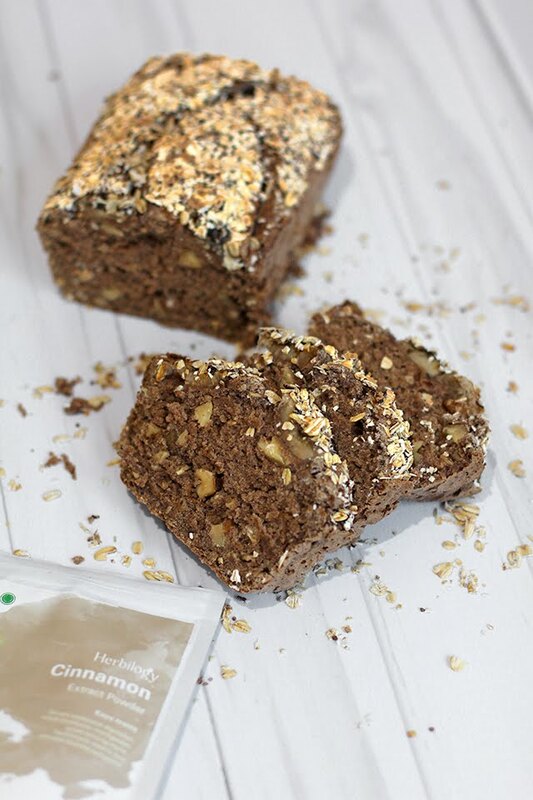 Here are few ingredients and directions to make this healthy, simple and delicious BANANA OATMEAL BREAD. This only takes 20 minutes to prepare and 1 hour to bake! 2. Mix together the dry ingredients (except walnuts). 4. Add the chopped walnuts into the batter and gently stir. 5. Pour in the mixture into lined loaf pan (9x5x3 inch) and bake for about 50-60 minutes until toothpick comes out clean. 6. Let it cool completely before slicing. Its best served with almond butter or maply syrup! Hope you guys can try this recipe. And let me know in the comment box below if you like this recipe, or if you would love to see other recipes on my blog. Living in the heart of the city, Jakarta, Indonesia - makes me dealing with the sun exposure and bad pollution everyday which makes my skin looking dull, oily, and the saddest thing is, when I check out my skin by having 5cm bare-skin selfie, my pores seem enlarged. So, In order to cover my skin's imperfection, I often use make up to get a clear, brighter, smooth pores and be more confident. 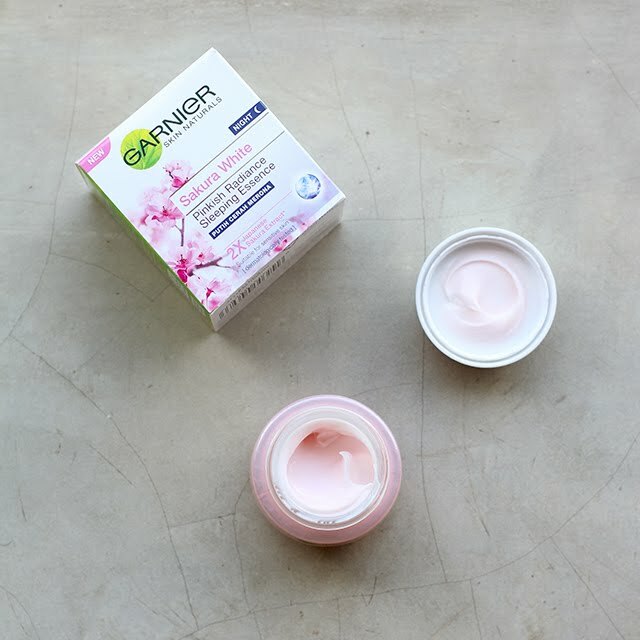 Till I found out, Garnier as a renowned skin care brand presents Garnier Sakura White series as an innovative solution to get a flawless pinkish radiance skin. 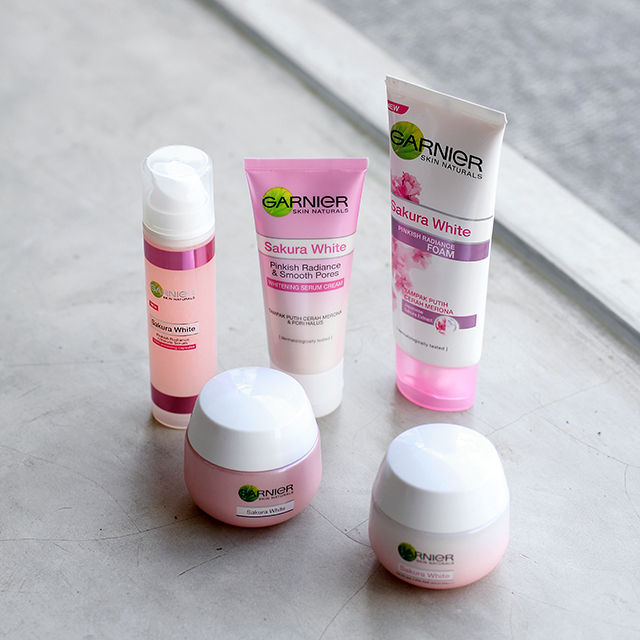 The new Garnier Sakura White are formulated with Japanese sakura essence and pore smoothing serum. The Japanese sakura essence itself has been tested dermatologically to reduce melanin synthesis that help to fight skin darkening, refine skin texture, and comfort skin. 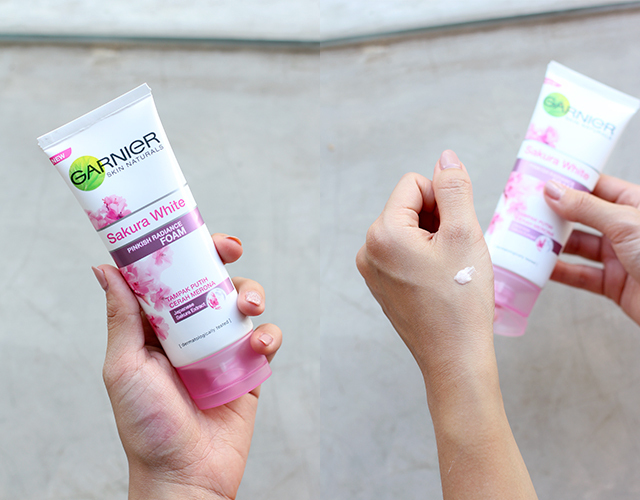 The overall ingredients in Garnier Sakura White series are pretty powerful, yet still gentle and safe to be used for all skin types, even the sensitive ones. The first step of skincare would always be a cleanser. 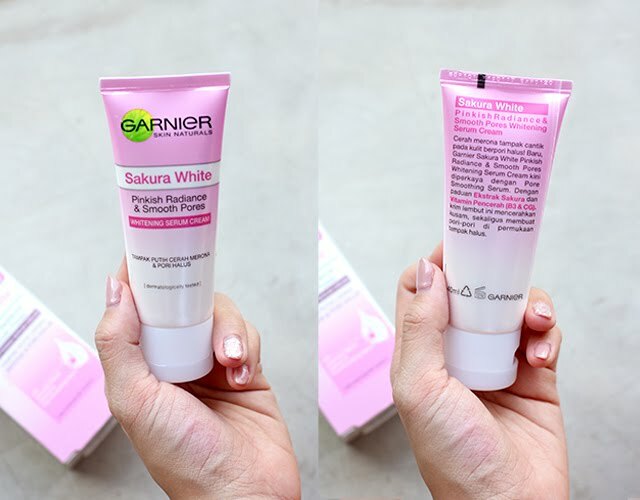 Garnier Sakura White Pinkish Radiance Foam comes in a pretty pink and white packaging with all the information and ingredients on the back of the packaging. The texture of the this foam cleanser is basically like a cream and become foamy right after its applied on the wet skin with gently massage. There's a mild sakura scent which I love the most. Also the formula is very gentle and light so its safe to be used everyday in the morning and nighttime, to get rid of dirts and sebums on the face. 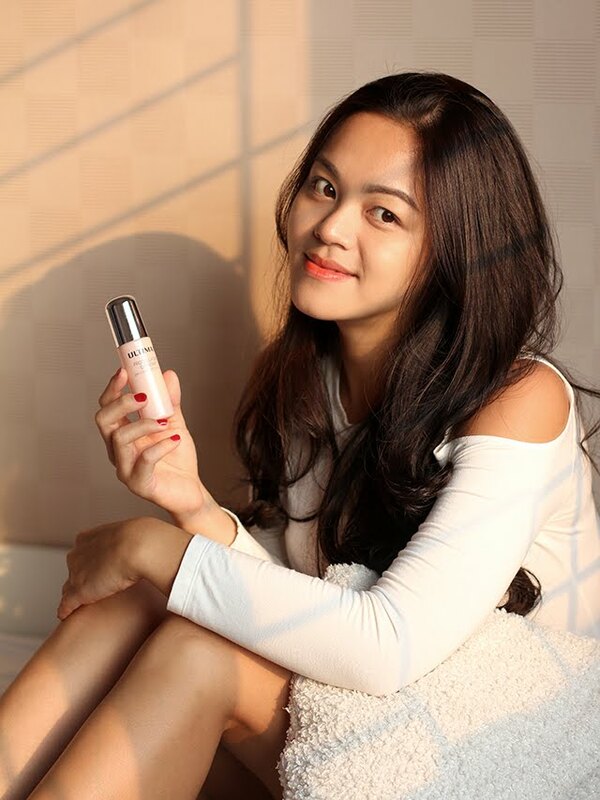 Well, I'm quite impressed with Garnier Sakura White Pinkish Radiance Ultimate Serum cause its infused with sakura extract and 5000 whitening capsules to boost 5 dimensions of skin quality, for more pinkish radiance, more transparent, smoother, even skin tone, bouncier and plumper skin. Beside that, the packaging also attracts me with the pretty pink content and white dots that I guess the '5000 whitening capsules'. I'm so excited to try this at first, the texture is super lightweight and just melted right away on my skin, leaving my skin perfectly moisturized and refreshed. This can be used after the cleanser, and before the day or night cream. 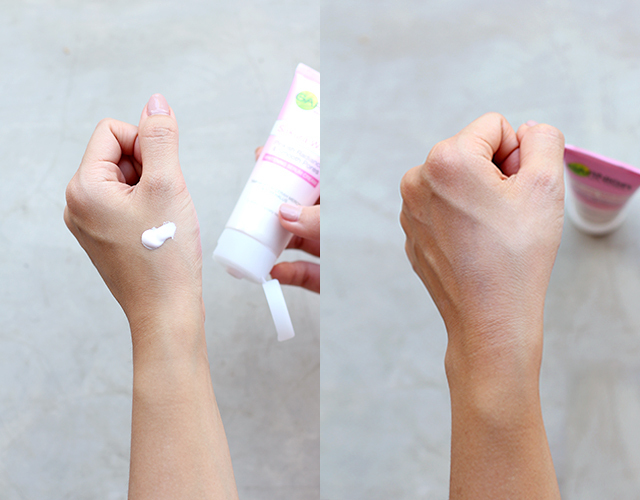 Now let’s move on to one of the important step of the skincare routine, which is moisturizer. 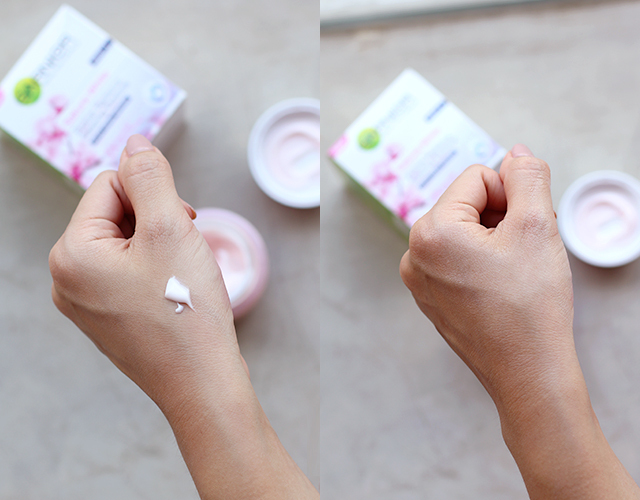 Garnier Sakura White Pinkish Radiance & Smooth Pores Whitening Serum Cream with UVA/UVB. This contains sakura extract and whitening vitamin (B6 and CG) to boost the pinkish white result to the skin and also smoothen the pores. Suitable for normal to oily skin types. 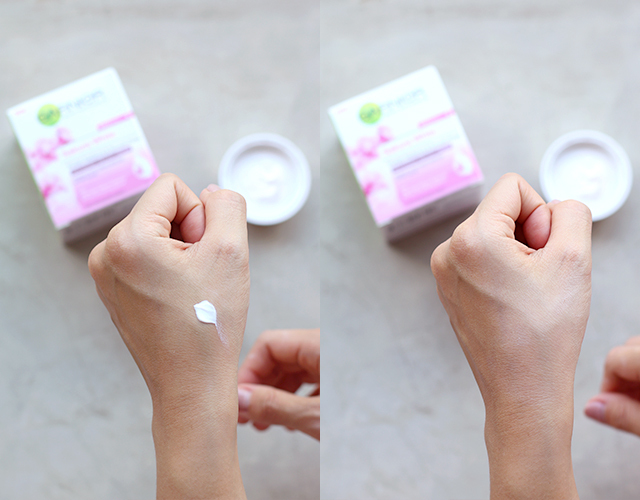 Just like a regular moisturizer, the texture is like a lotion, it easy to blend and quickly absorbs onto my skin, leaving a smooth and matte looking skin. It also somehow reduced the appearance of my pores instantly. I guess this is really perfect to be used daily as a makeup base or even without makeup, since it has a natural whitening effect for a clear, smooth and flawless pinkish radiance. However, of course this moisturizer didn't stay all day, it melts away in about 4 hours. The good thing is, my skin still looking pinkish white, only a little bit oily. So I Just dab the skin with tissue, and I'm good to go. Honestly, I prefer to use this as a day moisturizer when I'm only staying at home and not having too much sun exposure. 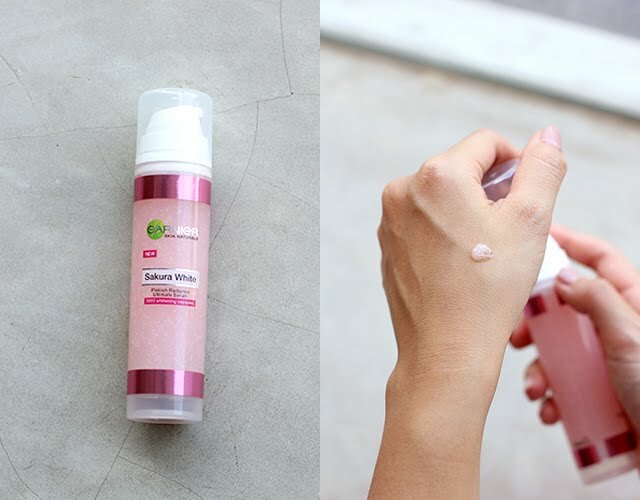 On the other hand, there is also Garnier Sakura White Pinkish Radiance & Smooth Pores Whitening Serum Cream with SPF 21/PA+++, really perfect for those of you who likely having more activity under the Sun. 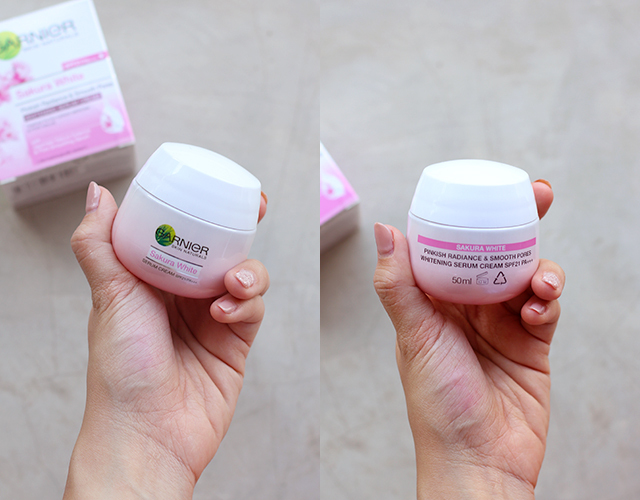 This contains sakura extract and whitening vitamin (B6 and CG) to boost the pinkish white result to the skin and smoothen the pores. Suitable for normal to dry skin types. Beside using it as a moisturizer, it also can be used as sunscreen. The texture is very lightweight and it has whitening effect with glowing complexion. This is perfect to be used daily as a make up base cause its super light, also contains SPF to protect the skin from harsh sunlight. I prefer to use this as day moisturizer/sunscreen when I having an activity under the sun, cause it stays all day on my skin and prevent my skin looks cakey or dry. 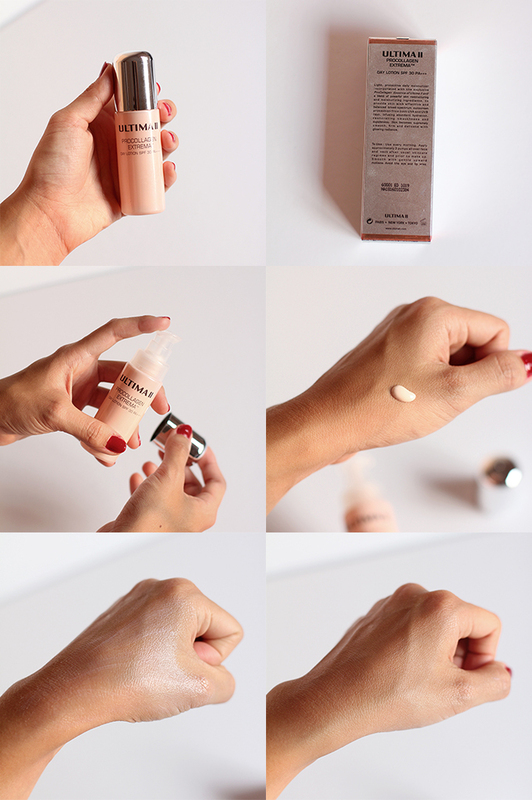 I also love its brightening effect which making my skin looks glowing all day. The last one, I'm excited to try Sakura White Pinkish Radiance Sleeping Essence cause this formulated with 2x sakura extract, natural fruits extract and vitamin CG, and it also has essence to help lighten skin tone, fade dark spots, and smoothen the pores all in once. The texture is kinda the same with day cream with SPF, very light and not sticky. I really love how it moisturizes my skin overnight, I woke up with a smoother, supple, refreshed and pinkish radiant skin. 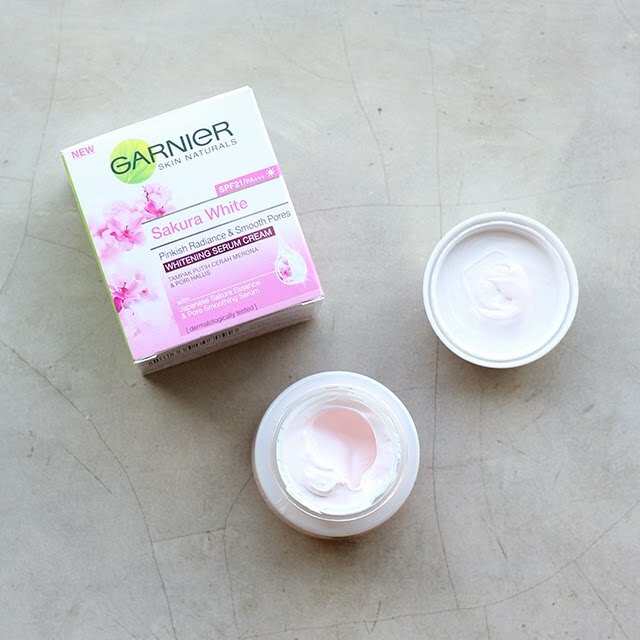 I've been using Garnier Sakura White skincare series for about a week, and luckily I didn't have any skin breakout cause the formula is very gently on my skin, it also claimed to suit all skin types, even the sensitive one. My skin is getting better and better everyday, it perfectly moisturizes and brighten my skin tone, also help to reduce the appearance of my large pores. Now I’m so happy with the result when I check out my skin with 5cm bare-skin selfie, cause my skin is looking clear, smooth and flawless pinkish radiance! Last but not least, I'll definitely recommend this to anyone whose looking for a great skincare with an affordable price. You can grab Garnier Sakura White series products at the nearest minimarket, supermarket or even at the local market. For more information and updates about Garnier products, do check out their website at www.garnier.co.id / Instagram @garnierindonesia / Facebook at Garnier.indonesia. Being in 20th-something means we are going to experience the ageing, sooner or later. Because nobody stays young forever. Normally the ageing can be noticed in around 25th years old. But nowadays we can't deny that the world's moving very fast, even myself who are in the early 20th years old (22 years old) may experience the early ageing. This because we keep losing the collagen on the skin. When we are young, our skin stays plump and smooth because the collagen constantly regenerates itself. But as we age, the collagen production slows down, and the worst part is our existing collagen can get damaged due to sun exposure, bad pollution, and unhealthy lifestyle. The result is fine lines/wrinkles, sagging skin, dull and rough skin. There are so many things we can do to slow down the ageing and keep the skin looking young, plump and wrinkle-free. Beside watching the food intake, stay hydrated and get enough of sleep/rest, the skincare also plays a key role, especially the right skincare with collagen. Ultima II as one of the cosmetic brand in Indonesia that is popular with its makeup and skincare since 1976, just launched the latest skincare with collagen - Ultima II ProCollagen Extrema. 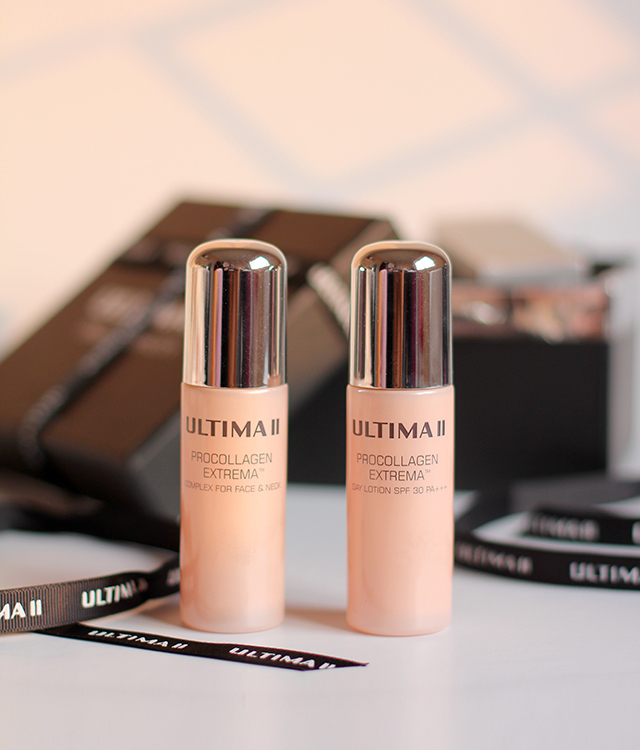 I have privilege to try and review Ultima II ProCollagen Extrema Complex for Face & Neck and Ultima II ProCollagen Extrema Day Lotion SPF 30 PA+++. Since I just got back from Bali a week ago, my skin is still burnt, dull and rough. I really hope this Ultima II ProCollagen Extrema and can heal my skin in short amount of time. In this post, I'm going to give it a review from Day 1, Day 3 and Day 7! On Day 1, after cleansing and toning my face, I use Ultima II ProCollagen Extrema Face & Neck as a serum onto my face and neck with a gentle massage in circular motion until fully absorbed. Then after the serum absorbs, I apply Ultima II ProCollagen Extrema Day Lotion SPF 30 PA+++ as a day cream or sun protection. I love its texture and formula. It stays smooth, supple and really great as a makeup base because the formula is not sticky or greasy, and the colour blends pretty well too. 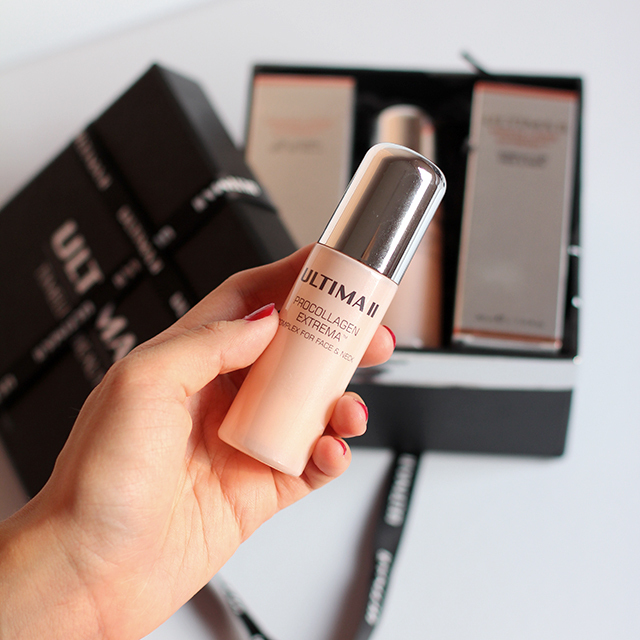 On the night time, I also use Ultima II ProCollagen Extrema Face & Neck as a serum before my night cream. It makes my face so smooth and well-hydrated overnight. I'm using Ultima II ProCollagen Extrema Face & Neck regularly every morning and nighttime as a serum, and Ultima II ProCollagen Extrema Day Lotion SPF 30 PA+++ only when I go out. I noticed a slight improvement especially on my skin tone. My after-burnt skin post-holiday is slowly fading and increase in hydration, makes my skin a bit brighter and clearer. 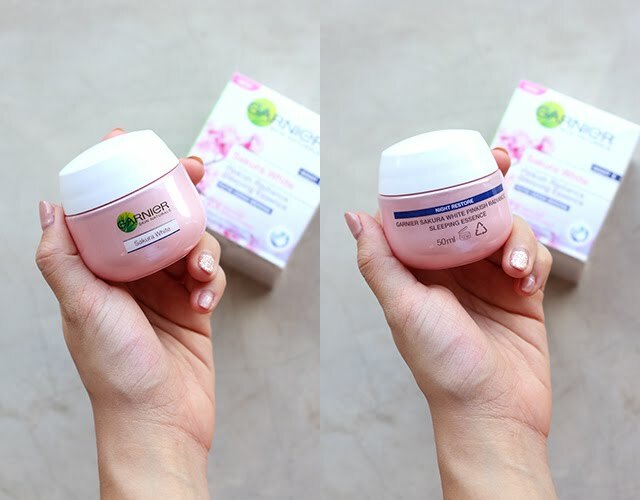 Luckily, I have no breakout while using Ultima II ProCollagen Extrema Face & Neck and Ultima II ProCollagen Extrema Day Lotion SPF 30 PA+++, since these also claimed to suit any skin-types. In just 7 days, I can see a slight improvement on my skin. I believe in using these regularly, combined with healthy lifestyle - will give me a younger-looking skin, smoother with a glowing radiance! 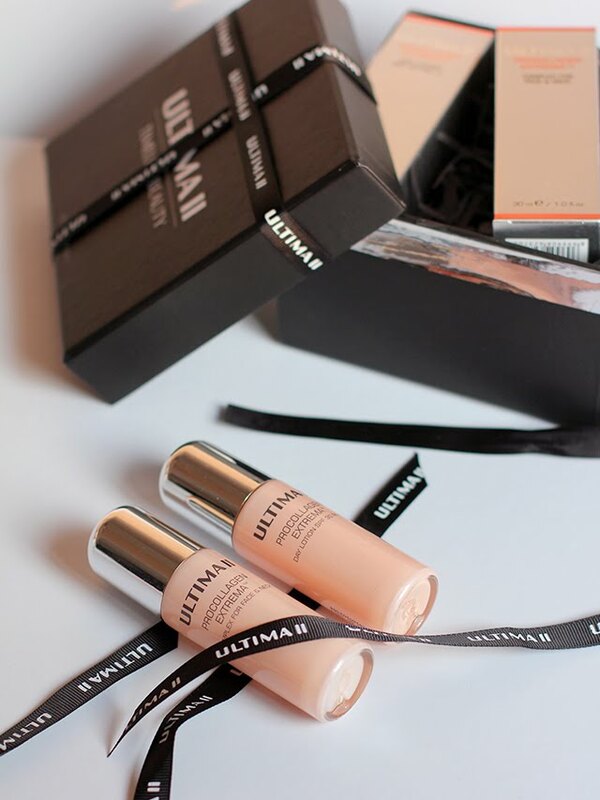 So I highly recommend Ultima II ProCollagen Extrema series for anyone to boost the collagen content on the skin, in order to prevent the early ageing and get the best version of your skin. Click here for more info about the ULTIMA II ProCollagen Extrema! Get this from Matahari Department Store, AEON BSD, METRO Department Store, Centro, Citrus, Cahaya Bintaro, Sogo Kota Kasablanka, Sarinah Thamrin, Debenhams Senayan City, and Star Mal Kelapa Gading & Star Summarecon Bekasi or SOCIOLLA. 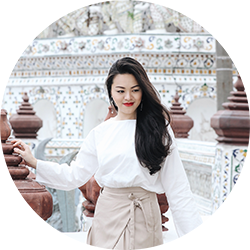 Buat yang udah baca blog aku sebelumnya tentang Traveling Abroad with H.I.S. 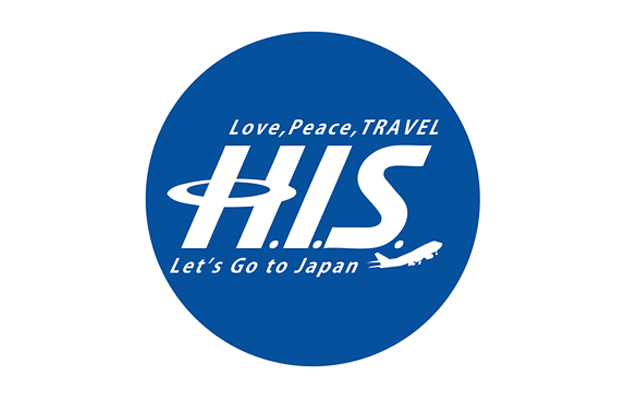 & HISGO, disana aku bilang kalau online travel agent H.I.S. dan HISGO ga hanya menyediakan paket tour domestik, tapi juga menyediakan paket tour international - ke berbagai destinasi di luar negeri, mulai dari America, Eropa, Australia, serta beberapa destinasi di Asia, seperti Bangkok, Korea, Jepang, dll - yang bisa kalian book langsung di website HISGO. Ngomongin paket tour international di H.I.S. dan HISGO, aku tertarik sama paket tour Europe, karena emang Europe adalah salah satu negara yang selalu ada di bucket list aku! Abis browsing paket tour di website H.I.S. dan HISGO, aku ketemu paket tour West Europe untuk 8 hari 5 malam, dimulai dari harga IDR 14.588.000++ dan udah termasuk tiket pesawat PP by Etihad Airways, acara tour, tipping untuk tour guide dan driver, meals, travel bag dan asuransi perjalanan. Tapi belum termasuk pajak, visa, dan pengeluaran pribadi seperti telepon, wifi, dll. 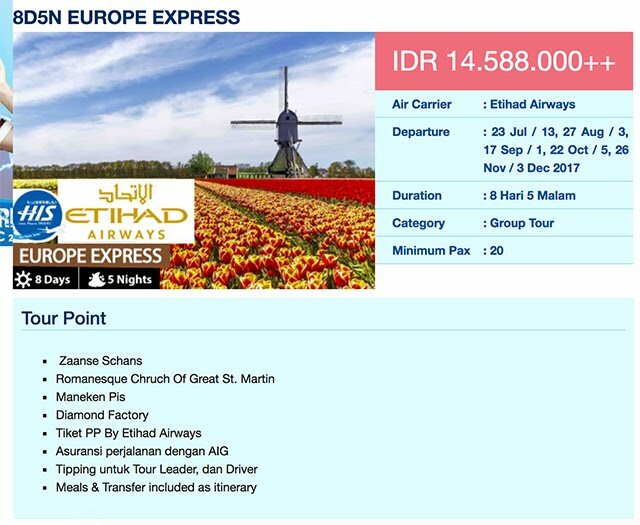 Paket tour Europe ini tersedia hampir di setiap bulan. Tips dari-ku kalo bisa berangkat jangan di festive season, karena bakal banyak banget tourists dan tempat-tempat wisatanya pasti rame. Dengan harga segitu yang udah termasuk tiket pesawat PP, tour guide, transportasi dan meals sih lumayan banget. Bayangin aja kalo pergi sendiri, pasti pengeluaran bakal lebih besar dan ribet mikirin mau kemana aja, mau makan apa, cari transportasi, ga bisa bahasa-nya, dll. Tentunya waktu akan terbuang sia-sia. Daripada ribet kan mendingan ambil paket tour. 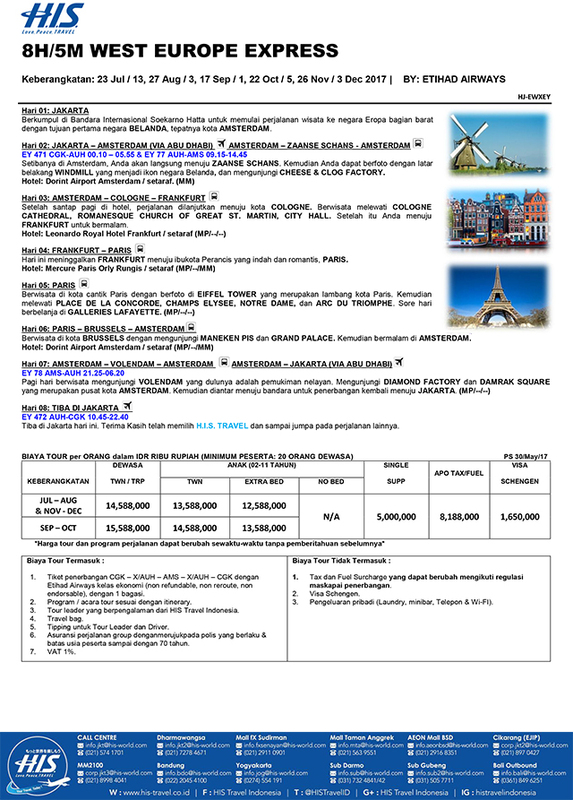 Selain paket tour West Europe, ada banyak paket tour Europe lainnya yang bisa kalian temui di website H.I.S. dan HISGO. Tour West Europe Express ini cocok untuk kalian yang hanya ingin menghabiskan waktu singkat di Europe dan mengunjungi beberapa tempat wisata keren disana, juga dengan harga yang sangat terjangkau. Destinasi yang termasuk di tour West Europe Express, antara lain; Amsterdam, Cologne, Frankfurt, Paris, Brussels, dan Volendam. 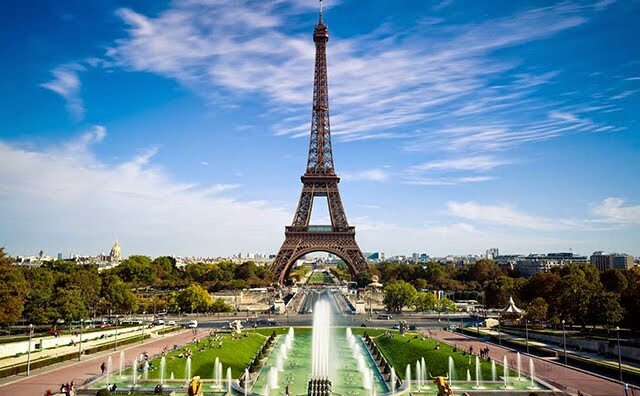 Mulai dari berkunjung ke landmark negara Belanda Windmill, sampe ke Eiffel Tower di Paris. Wah asik banget! Dan juga tentu ada sedikit waktu untuk berbelanja di Galleries Lafayette buat kalian yang mau belanja barang designer lebih murah daripada di Indonesia. Untuk itenary lebih jelasnya, bisa dilihat dibawah ini. Ga hanya paket tour Europe, kalian bisa temui banyak paket tour international lainnya dengan harga yang sangat worth-it hanya di H.I.S. dan HISGO. 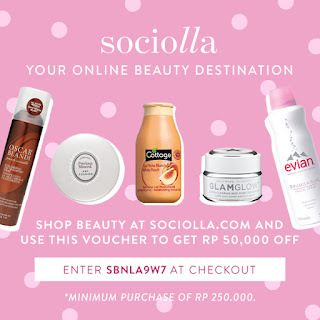 Nah, sebelum liburan ke luar negeri, jangan lupa untuk baca tips seputar makeup/kosmetik dan skincare apa saja yang cocok dibawa saat traveling sesuai iklim di masing-masing negara, langsung aja cek di situs Beautynesia. Happy holiday semuanya! Emang paling asik nih kalo ngomongin soal liburan, karena siapa sih yang gak suka liburan. Apalagi liburan ke luar negeri, jadi mupeng deh. Tapi terkadang pas mau liburan ke luar negeri, suka ribet sendiri mikirin mau kemana aja, gimana kalo gak ngerti bahasanya, pake transportasi yang mana, dll. Nah, daripada pusing mikirin liburan ke luar negeri, aku punya solusi buat liburan ke luar negeri yang aman, nyaman dan ga ribet. Solusinya yaitu pakai tour guide. Disini aku mau memperkenalkan salah satu online travel agent yang sudah terpercaya dan terkenal baik di dalam maupun luar negeri, yaitu H.I.S. 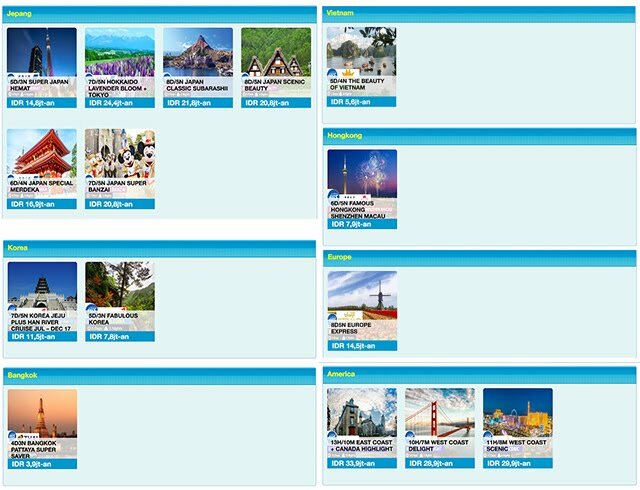 dan situs online booking-nya yaitu HISGO - yang menawarkan paket tour ke berbagai destinasi international dan bisa dipesan secara online. Pilihan paket tour destinasi internasional yang ditawarkan di situs HISGO ada banyak banget loh, mulai dari America, Eropa, Australia, dan berbagai destinasi di Asia, seperti Bangkok, Korea, Jepang, dll. Selain menyediakan paket tour, kalian juga bisa membeli tiket penerbangan luar negeri langsung dari HISGO. 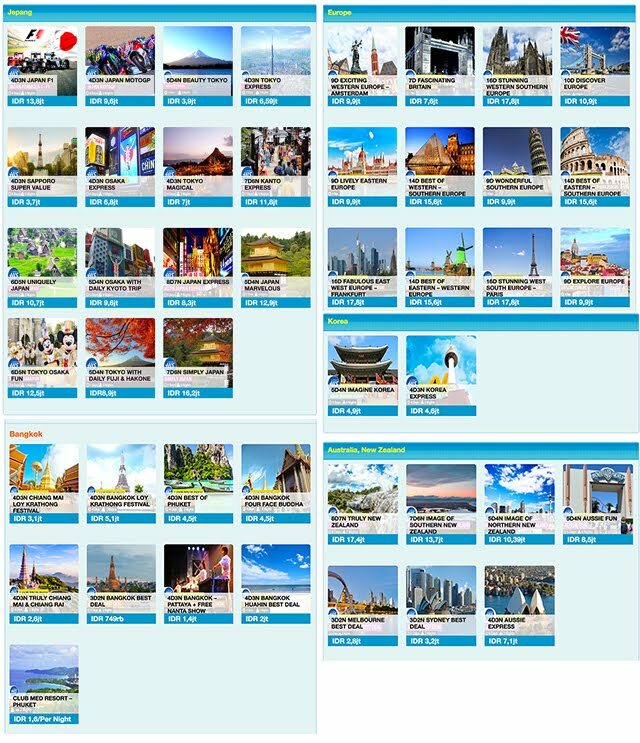 Paket tour yang ditawarkan oleh online travel agent H.I.S. dan HISGO juga tersedia dalam beberapa pilihan, antara lain individual tour dan group tour. Individual tour adalah tour yang lebih private dengan minimal kuantitas 2 orang. Sedangkan group tour adalah tour yang lebih cocok untuk liburan sekeluarga atau bareng teman-teman, karena minimal kuantitas lebih dari 15 orang, dan pastinya group tour menawarkan harga yang lebih ekonomis. Berikut adalah beberapa contoh paket individual dan group tour yang ditawarkan H.I.S. dan HISGO. Ternyata banyak banget pilihan paket tour wisata ke tempat-tempat keren di luar negeri, dan tentunya dengan harga yang sangat worth-it hanya di H.I.S. dan HISGO. Nah, sebelum liburan ke luar negeri, jangan lupa untuk baca tips seputar makeup/kosmetik dan skincare apa saja yang cocok dibawa saat traveling sesuai iklim di masing-masing negara, langsung aja cek di situs Beautynesia.